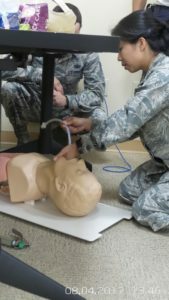 AADM Delivers AAPS Foundation Funded Training - American Association of Physician Specialists Foundation Inc. The AAPS Auxiliary (a co-founding member of the AAPS Foundation) provides financial and volunteer support to the AAPS Foundation, to assist them in achieving their mission. The AAPS Foundation’s principles are based upon the delivery of excellence in medical services. The AAPS Foundation supports continuing, multi-specialty physician medical education and training leading to credentialing and certification. The AAPS Foundation provides health education, resources and tools for physicians, healthcare professionals and the public. 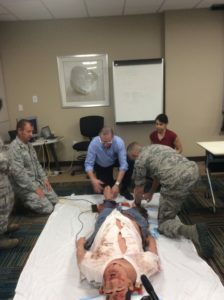 The American Academy of Disaster Medicine (AADM) delivered a specially designed, two-day training session to members of the 927th Aeromedical Staging Squadron (ASTS), an Air Force Reserve Command unit on MacDill Air Force Base, on August 3-4, 2017. 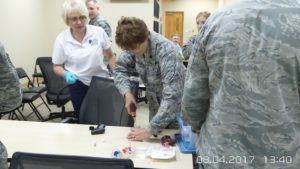 Funding for the Disaster Medicine Training was provided by the AAPS Foundation. 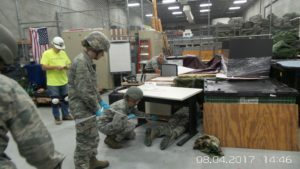 The AADM assembled a team of preeminent experts from leading universities who taught collapsed structure rescue and treatment, trauma and hemorrhage control, and resuscitating radiation and blast casualties. 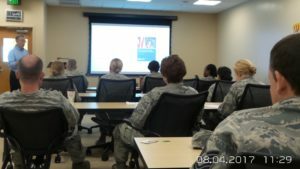 This curriculum, which is unique within the Department of Defense, included both classroom instruction and hands-on skill stations. Video by TSgt Peter Dean and Staff Sgt. Nicholas Monteleone, USAFR AFRC 927 ARW/PA. Over the course of the two days, students attended lectures on the clinical and operational aspects of crushing, blast, trauma, and radiological injuries. Course content included both attending to the needs of the victim and assuring the safety and security of the rescuers. The afternoon of Friday, August 4th consisted of hands-on skill stations that simulated collapsed building rescues, addressed rapid shock treatment via an intraosseous vascular access system, and replicated treatment of a victim of an explosion who was radiologically contaminated. 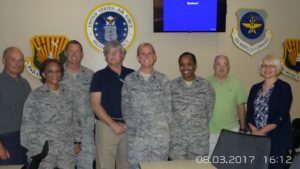 The training was well received by the members of the 927th ASTS, which included physicians, nurses, a dentist, and various other medical and support staff. 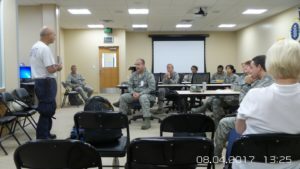 The command indicated its desire to host an AADM educational team again in 2018. Check out more photos at https://www.flickr.com/photos/927arw/albums/72157684552005961 by TSgt Peter Dean, USAFR AFRC 927 ARW/PA.